Wakefield Civic Society07967 516841work Tour GuideLooking to delve deeper than ever before into the history of Wakefield? Look no further than the folks at Wakefield Civic Society. 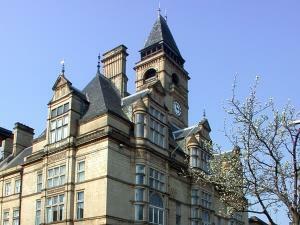 The Civic Society hold regular exhibitions, talks and guided tours in Wakefield city centre throughout the year. The society has published three self guided walking books to explore the historic buildings of the city at your own pace. The Blue Plaque Trail Guide, Wakefield: A City of Towers, Spires and Turrets and City of Sculpture and Public Art books can be purchased from the society or from the Visitor Information Point in Wakefield Cathedral for £1. Looking to delve deeper than ever before into the history of Wakefield? Look no further than the folks at Wakefield Civic Society. Prices vary per organised event, please check individual event listings. Walking trail guides are priced at £1 each.